Current and forthcoming what's on at West End's Royal Opera House with related venue, location, news and links. Information is also included for other spaces at this location including; Linbury Studio, Ballet Studio, Clore Studio,Floral Hall Home of the Royal Opera and Royal Ballet. Follow link to see details of Royal Opera House website (launched March 97) and other information. Member of the Society of London Theatre. Also known as Covent Garden. Closed from July 1997 for refurbishment - reopened Dec 1999. 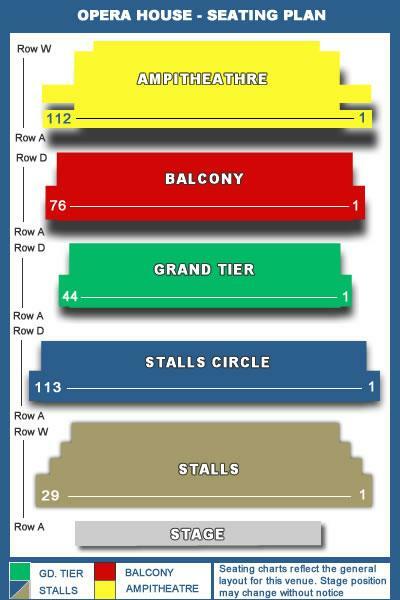 Minicom Tel: 020 7212 9228 You can also check out the iUKTDb Royal Opera House (West End) archive with 1,676 shows listed up to Monday, 22nd April 2019. Also includes archive for Linbury Studio, Ballet Studio, Clore Studio,Floral Hall. Tue 26th March 2019 to Tue 11th June 2019 . Thu 11th April 2019 to Mon 6th May 2019 . Thu 18th April 2019 to Sat 4th May 2019 . Tue 23rd April 2019 to Fri 10th May 2019 . Thu 9th May 2019 to Tue 21st May 2019 . Tue 14th May 2019 to Fri 17th May 2019 . Wed 15th May 2019 to Mon 20th May 2019 . Mon 20th May 2019 to Sun 9th June 2019 . Fri 24th May 2019 to Thu 30th May 2019 . Mon 27th May 2019 to Thu 20th June 2019 . Tue 4th June 2019 to Fri 14th June 2019 . Thu 13th June 2019 to Sat 15th June 2019 . Wed 19th June 2019 to Wed 3rd July 2019 . Sat 22nd June 2019 to Sat 20th July 2019 . Sat 29th June 2019 to Sun 21st July 2019 . Mon 8th July 2019 to Sat 20th July 2019 . Tue 23rd July 2019 to Wed 24th July 2019 . Mon 29th July 2019 to Sat 10th August 2019 . Fri 2nd August 2019 to Wed 14th August 2019 . Wed 7th August 2019 to Thu 8th August 2019 . You can embed this tour information on your own website by adding a single line of code to a page and using the Qtix code V377 - for details see our Embed Information page. Receive email notifications of changes and updates to Royal Opera House, West End.